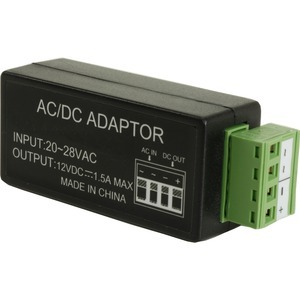 Power Supplies - ACDC-03 - Only $24.95! ACDC-03 is a 24VAC to 12VDC regulated voltage converter that is capable of powering large IR cameras, PTZ cameras or other devices requiring 12VDC in enviroments where only 24VAC is available. The small size allows it to fit inside most typical camera housings. Very useful, has many applications. The product has helped me out of many tight spots. Works great with cameras. 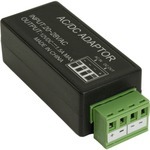 Click here to see all 6 reviews.